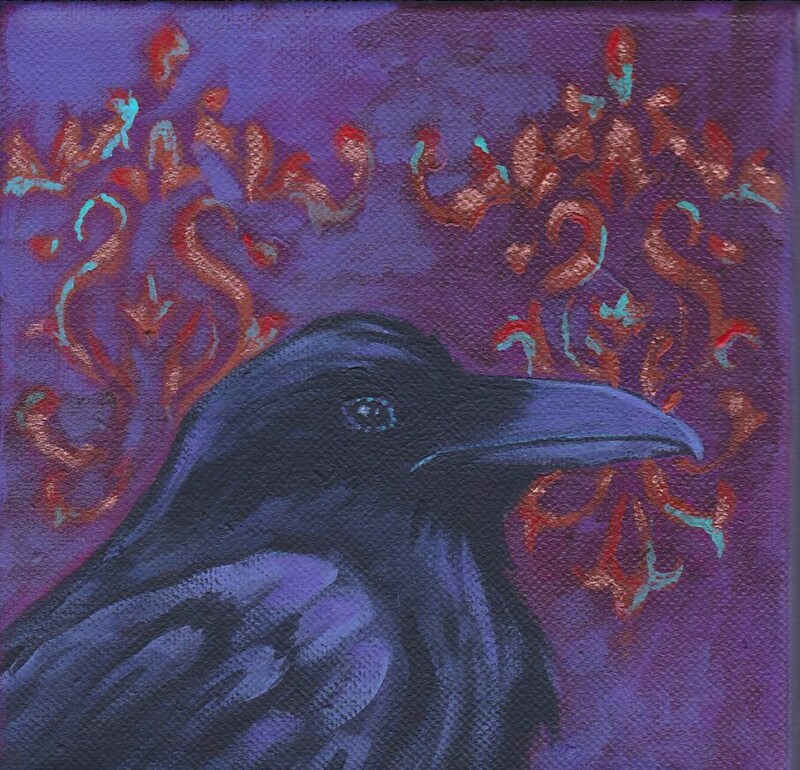 This is my latest corvid friend painted in royal colors with a Baroque pattern background. The motif behind him with be enhanced with coppery-gold inks to bring out the dazzle! The print will be on Epson Ultra-Premium photo paper backed on matte board in a cello sleeve for protection. I will sign the print in the right hand corner.